At 9th of April, 2016, Association for Liberal Thinking organised a Seminar of Liberty School with contrubitons of Friedrich Naumann Foundation. 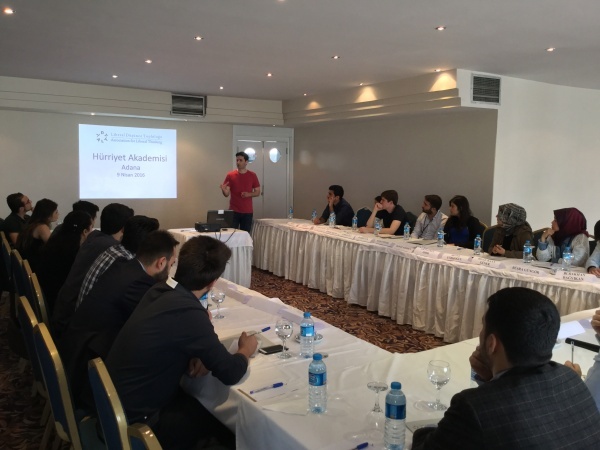 It was a very productive seminar for both ALT and the participants who were participating from different faculties and departments of Çukurova University. The first presentation was “Spontaneous Order” presented by Assist. Prof. Buğra Kalkan from İzmir Katip Çelebi University. Mr. Kalkan, emphasised the historical development and social functions of spontaneous orders. He indicated that if a society was getting complexed it would be very much harder for them to manage social order with commands and directives. 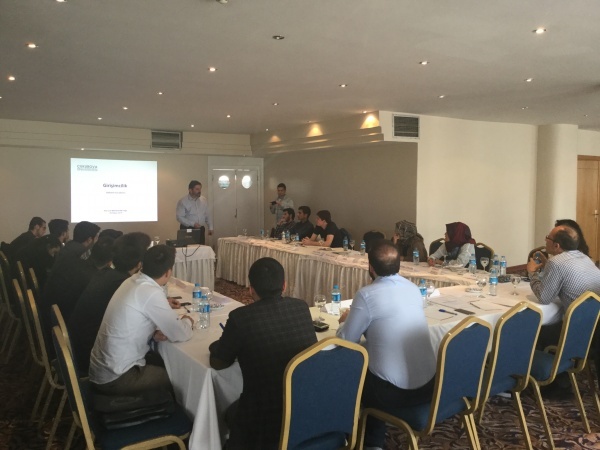 After explaning spontaneous order term with exampkles Mr. Kalkan mentioned the basic values of civilization and the foundations of free market economy. The second peresantion “Rule of Law and Liberalism” was given by Assist. Prof. Serdar Korucu who is a lecturer at Çukurova University. At first, Mr. Korucu explained the terms rule of law and liberalism. Then, he mentioned the relation between these two terms with expressing that a functional rule of law was only possible when liberal values were prioritiesed and also added liberal values could only live in a constitutional state with the rule of law principle. Program continued with Assoc. 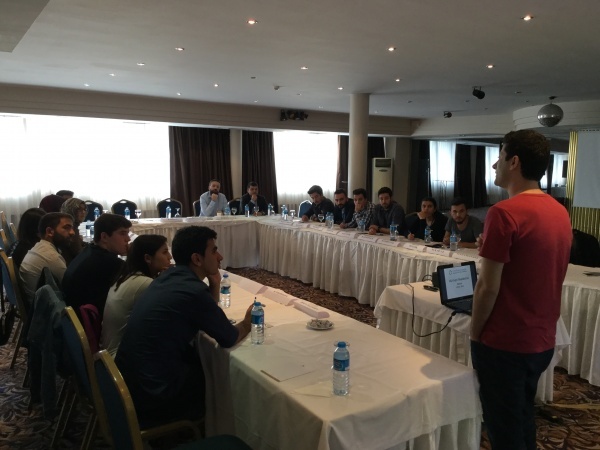 Prof. Dr. Bahattin Karadaremir’s presentation titled “Entrepreneurship and Market Economy”. He made an entrepreneurship definition with answering questions like “What is enterprise?, Who do we call an entrepreneur?, What are the features of an entrepreneur?” before starting his presentation. After indicating the role of market economy to supply the best enviroment for development of entrepreneurship, Mr. Karademir emphasised economic conditions are not enough by themselves for working of market economy functionally. Settling of the basic democratic values like rule of law, democracy, human rights are necessaries for an active market economy. The last session was given by Çankaya University lecturer Prof. Dr. Tanel Demirel titled “What is Liberalism or what is not?”. Mr. Demirel, explanied what is ‘not’ liberalism by using six questiones endured to prejudices. Afterwards he defined liberalism with those wrong known captions about liberalism’s basic principles. He emphasised that liberalism was not just an economic doctrine, but it’s legal and political dimensions were as important as ıt’s economic dimensions. Mr. Demirel finished his presentation with emphasising the “to find solvings for all problems” approach didn’t have a place in liberalism. He said that liberalism was an open-ended ideology which discussed if there were better’s of any situation but not looking for definite solvings to them.